It is hard to believe it has been a couple of years since my first comments about government reporting requirements within the coin business. I called this effort Rules for Reportable Bullion & Cash Transactions or Lack Thereof and it received comments which are included in this second attempt along with new information. The subject of “reporting” has to be one of the most misunderstood and misrepresented in the trade today so I can’t figure out why you don’t see more about these rules? The reason might be that these mystical directions while holding sway over dealers are a poorly written mess which should have been avoided more than 30 years ago. And as the perceived need came and went these rules were asked to do more than intended without further oversight or revision. So in my opinion what we have today is a bottom up application of government thinking without the required rule maker and so disputes become a nightmare based on not understanding what is obscure. First if you study this situation most will find the majority of Americans are looking for simple privacy and not trying to skirt the currency reporting laws. Gold has always been the most private investment and the use of “no-name” invoices and cash in smaller amounts is popular and legal. The quest for privacy is responsible for new books like How to Be Invisible: A Step-By-Step Guide To Protecting Your Assets, Your Identity, And Your Life by J.J. Luna. This type of read is on the front burner because people worry about identity theft and are looking at privacy especially as it relates to the Internet. 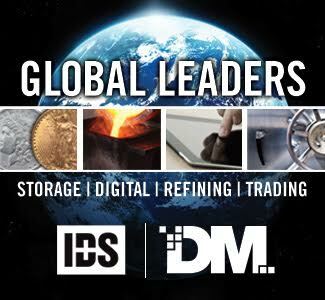 Second the notion of independent storage of precious metals is getting publicity because of banking failures both here and in Europe. Outside of bank storage was talked about in the early gold movement and included ideas about out of country storage by pioneers like Harry Brown. Personally I think this is an overreaction because US banking oversight protects assets but investors are considering this possibility. I just received a brochure from www.usprivatevaults.com which reads: Are Your Assets Really Secure In A Bank Safe Deposit Box? I have no idea who these folks are but use their advertisement to point out that independent storage would not be built if there was not a developing market. 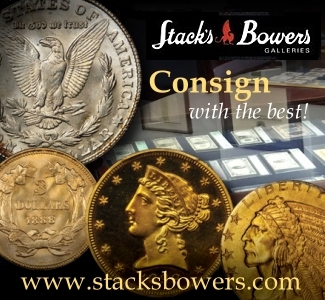 When gold was once again made available to Americans in 1975 the modern bullion dealer was reborn. 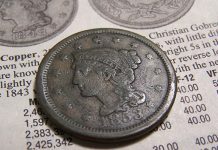 Rare coin dealers at the time did not have much to do with bullion transactions except to facilitate trades for good customers. There were cash reporting requirements already on the books but mostly no one cared about such things even the banks. If you were given cash it was deposited into your business account but most of the time payments were made by check. But back then we lived in a simpler world. Investors noted how many Krugerrands had to purchased to avoid paying state sales tax which was the way they used to do things. But when the Treasury began to get interested in what Middle America was doing with precious metals the “reporting” idea got more attention. 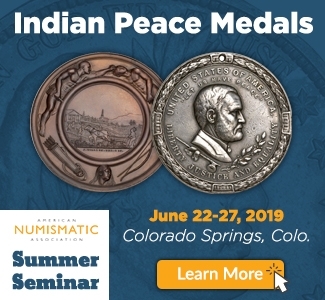 Since that time both dealers and the public have come to believe these reporting requirements are an attempt by Uncle Sam to monitor the precious metals because the government saw them as a kind of unregistered security which is easy to buy and easy to sell privately. Perhaps, but I believe the truth is more mundane and the government based their first decisions about “reporting” more on what was traded on the nation’s commodity exchanges and less on what was happening in coin stores because they had little interest in the individual investor. If you bring in more than $10000.00 in cash or cash equivalents to your dealer he will present you with a Federal Form 8300 which will require things like your name, address, and social security number. Form 8300 is the real deal and presents serious legal consequences for both the buyer and the dealer. So please no winking or playing around here as this has been on the government radar screen since the cash trade in drugs entered America’s living room and more recently as terror became a reality in the US. To make sure professionals were listening Uncle Sam prosecuted a few famous coin dealers and sent them to jail. They then published the results in Coin World which scared most national dealers because prior to these prosecutions cash was not a big deal. Also note that when the government talks about cash, it is referring to the real green kind. I get regular questions about paying with wires or checks in reference to the $10000.00 rule which clearly shows the public is going through the learning curve when it comes to “reporting”. You can purchase anything you want for any amount – $10000.00 or $10 million – and there are no dealer reporting requirements as long as you pay with a check or wire. Let’s also consider what the government calls cash equivalents. If a consumer makes one purchase and pays with a number of smaller money orders and the sum exceeds $10000.00 it is a reportable transaction. If on the other hand he makes a purchase and pays with a cashier’s check in excess of $10000.00 it is not because if the consumer used cash to purchase the cashier’s check the bank has already filled out the form. And what about the customer who purchases $14000.00 worth of bullion and provides the dealer with $8000.00 in cash and a cashier’s check for the remaining $6000.00? The dealer is required to fill out the form or be in violation of the $10000.00 cash rule. So you can see how tracking down all these rules can be confusing. The SAR (Suspicious Activity Report): I added these comments because well-know coin dealer Pat Heller rightly pointed out this area of government reporting is worth a close look. The SAR is still virtually unknown to the consumer but is the proverbial black hole of reporting. It raised its ugly head following the 9/11 attacks when the US rewrote many federal regulations and introduced the USA Patriot Act. It is amazing that this idea has not yet been challenged in the courts because it throws cold water on your 4th Amendment right which guards against unreasonable search and seizure. Under the SAR provision the government requires financial institutions (a catch-all term which includes coin dealers) to report transactions that are or appear to be suspicious. Reporting suspicious behavior without judicial oversight is not a slippery slope but a vertical cliff used by the world’s most oppressive regimes and always presented as “necessary” because of extraordinary circumstances. 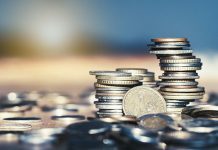 Without sufficient guidelines an honest customer who simply wants clarification about using cash over an extended period of time might qualify for a SAR. Many honest folks also want to use cash because it facilitates the transaction (no waiting for check clearance or bank verification). In this day and age some people don’t trust banks or dealers and who can blame them? They want the combination of privacy and immediate delivery because it can give them the added benefit of anonymity. A customer brings in $8000.00 in cash and walks away with product. This fellow may own a cash business or simply goes to the bank to withdraw cash on a regular basis because he wants complete privacy. 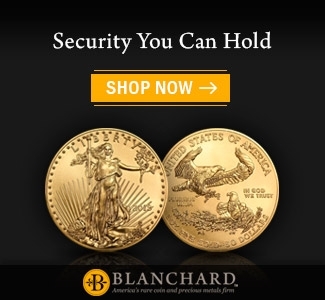 This is entirely reasonable because owning gold bullion does present challenges when guarding against theft. He then shows up a month later and wants to do the same transaction. Is this reportable or not? The law is not specific as to an allowable time frame between cash transactions and so this lack of clarity makes decisions difficult. Some dealers in the LA area use a Cash Transaction Log but some have overreacted in my opinion and record all cash transactions over a few thousand dollars. Let me also mention an issue virtually never seen in print and ask a small favor: Don’t ask me or your neighborhood dealer how to “get around” these reporting requirements by variations on the theme. In other words if a $1000 bag of 90% is reportable a customer might suggest selling two half bags and avoiding the paperwork? Or why can’t I bring in a “friend” and both of us spend $9000.00 in cash and thus avoid the required reporting? No dealer in their right mind should answer this type of transparent question because it is a form of “structuring” and would make the dealer a party to the transaction. I just walk away and get accused of being rude. Finally avoid the old wife trick unless you really believe Uncle Sam just fell off the truck. A man and woman show up with $15000.00 in cash claiming $8000.00 is hers and $7000.00 is his and because they are married the individual purchases are under the trigger level. This transaction gets an immediate red flag because your dear Uncle does not care if you are married or friends he considers this purchase “related” and so wants the paperwork. I will get into specifics further down but for the time being understand that there are a limited number of bullion products in certain quantities which are reportable and the buying dealer will file Federal Form 1099B. Now pay attention because the public usually misses this point: This 1099B rule only applies to what you as a consumer are selling and has nothing to do with what you purchase or how you pay for that purchase. So why the long buildup and walk down memory lane? Because these rules were not presented properly in the first place the public now confuses state and federal tax issues, cash reporting requirements, federal and state capital gain rules and the use of both Federal Forms 1099B and 8300. They actually pick and choose through this dog and pony show and so the question of “reporting” is further obscured. And to make matters worse some honest coin dealers do not have it right and hard sell telemarketers use “reporting requirements” as a blunt club to “steer” investors into the worst choices while lining their pockets with ridiculous commissions. Not long ago I received an Email from a person who was told by a so called “IRA Specialist” dealer that he should put proof gold Eagles into his IRA account and avoid regular issue gold Eagles because the latter was reportable and the former was not according to government rules. Well of course this is pure fiction and a wonderful case of “steering for profit” by a sleazy telemarketer but how many people do you think have the foresight to check those “expert” facts? I guarantee that most do not and so are led down the garden path by unscrupulous dealers who exploit these obscure rules. And even if you are new to investing and do your own research there are questions which remain unanswered. Study these rules carefully and the first thing you will notice is that many are simply arbitrary. 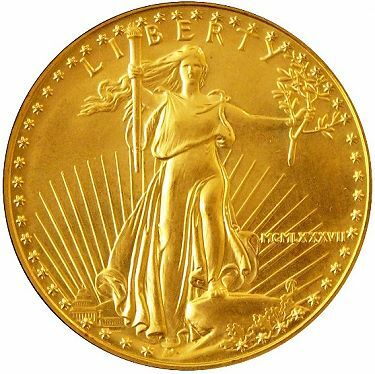 The US Gold Eagle is one of America’s favorite bullion coins and yet it is not reportable but similar bullion coins like the Canadian Maple Leaf or the South African Krugerrand made the hit list. So let me state what might seem like heresy about government commodity reporting. I believe they do not give a fig about what you do in any specific sense and this reporting nonsense is another urban myth misread by the public and used and misused by dealers to sell product. What happens to all the reporting information we collect and submit to the government each year? I cannot cite a single example of Uncle Sam coming back and asking questions except in the case of a wrong address or incorrect social security number. I believe no one is home in Washington and Uncle does not care when it comes to statistics on the physical metals because they are small potatoes when compared to commodities like wheat or corn. Further study of the reportable list below will reveal its obvious lack of conscious intent. Some bullion product is listed but much of what is commonly accepted as bullion precious metal is missing and there is not a provision in these old rules to add new products as they come to the marketplace. I guarantee the government could have done a better job if its real intent was invasion of your privacy and a “big brother” attempt at controlling the precious metals. The only reason we are bothered with this little sister today is because it was on a list of other big commodities and the statistical Washington wizards simply threw it in on the deal because they were following orders. My bet is that in the end your reporting information becomes a very small part of a large government information stream studied by academics and burned out commodity traders. The people who make a big deal out of this convoluted scheme are the conspiracy buffs who believe the grassy knoll theory. This is where the real paranoia began because they simply could not believe the government was not looking in their window. In my original work this small paragraph created a bigger reaction than I would have expected. And comments came from two large and respected dealers so their views are well worth considering. They will concede that reporting requirements today are no big deal, but suppose the public really decided to get involved with gold? 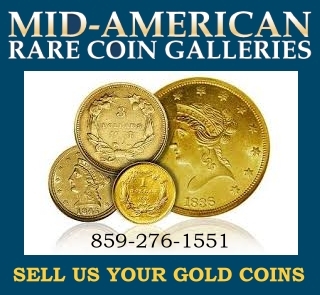 It is a small market and gold bullion coins or bars can be untraceable much like the old bearer bonds which were eliminated in the United States in the early 1980’s. If gold became popular could not the government at least use the existing rules and create the witch hunt possibility just like they did with bearer bonds? I will leave that answer up to you but this point is worth thinking about especially if gold prices continue higher. To help sort out the situation and make more sense of a confused marketplace a few definitions might also be helpful because the word “reportable” has a number of interpretations when buying or selling bullion products. 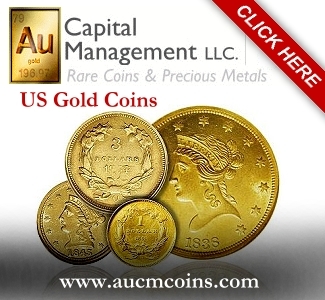 Believe it or not I regularly receive Email which asks for the list of bullion coins which have no reporting requirements in the sense of capital gain reporting. 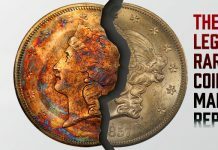 So some readers mistakenly think that choosing a particular product will avoid “reportable” income from the buying and selling of precious metals. There is no such list because there is no such product. Your Uncle Sam is interested in all your capital gains and losses because the resultant tax flow is important in supporting his spending habits. But it might surprise you to find that the majority of bullion transactions are not reportable to Uncle Sam via Federal Form 1099B. For those bullion products which are reportable the rules can still be confusing because there are minimum size requirements. 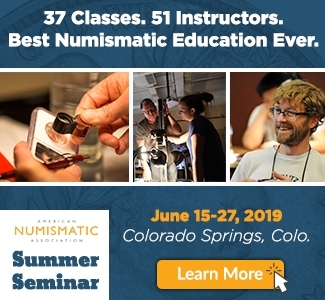 The good news here is that if the few reporting requirements bother you, it is easy to do your homework and avoid products which fall into the reporting area. 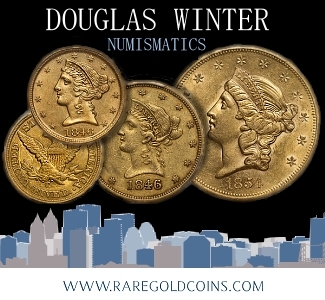 There are many low premium bullion bars and coins that have no reporting requirements upon resale and move directly with the spot market. The following is what The Industry Council for Tangible Assets (ICTA) has to offer about what the Internal Revenue Service wants in the way of paper work. They are describing the paperwork provided by bullion dealers which relate to what you purchase or sell. These basic rules are taken from the ICTA newsletter Washington Wire dated December of 2004 which is the only source material I can find and you will just have to put up with my added comments. First: You can place any size order and pay with a check or wire. No one cares, not even the government. The only time they want to hear from a dealer is if you invest more than $10,000.00 in real green cash or cash equivalent like a group of money orders purchased in smaller denominations. Then you must fill out I.R.S. Form 8300. There is nothing wrong with large cash transactions and like I said they are sometimes used because folks don’t want to wait for their product. But when this kind of cash is provided the government wants to be notified. Now would be a good time to reread by comments under Cash Reporting and remember Uncle Sam is no fool and is looking for “chain” transactions which exceed his $10000.00 real cash rule and other less obvious ways of flying under the radar. I have written about the misunderstanding in reporting rules but have never touched on the idea of multiple checks because frankly I thought the size of the dealer’s check made no difference because it was deposited and so the money was easily traced through the customer’s bank. The idea that a seller could cash a smaller check or deposit these checks on different days to avoid tax considerations is now on the table. This warning from Industry Council for Tangible Assets illustrates how far our Uncle Sam will go to make sure you folks who still have jobs are paying your share of taxes so he can redistribute the national wealth in a fair and equitable manner. Second: There are rules which apply only to bullion and only come into play when you sell. As long as you don’t use cash you can purchase all the gold Kilo bars you want and no one cares but the first one you sell produces a dealer “reporting” requirement. 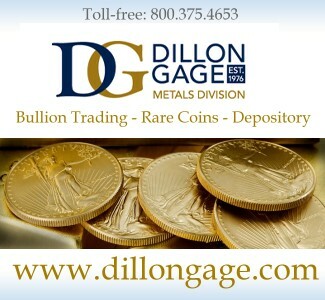 All Kilo bars are 32.15 troy ounces of gold and are subject to reporting by the purchasing dealer. 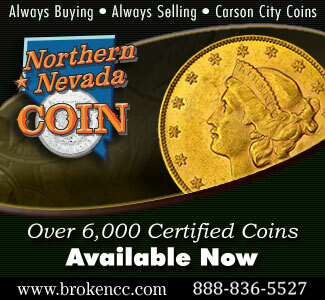 Dealers are also required to report any one gold bar they purchase from the public which totals 32.15 ounces or more. 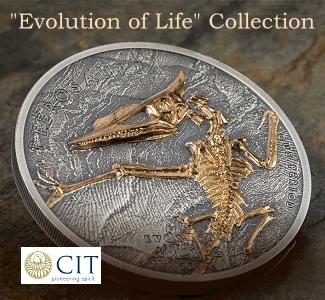 And what about those popular 1 ounce gold bullion coins everyone likes? If you sell 25 coins or more of the Krugerrand, Maple Leaf or Mexican Gold Onza dealers are required to report the sale on Form 1099B. But here is where these rules go off the track if they are interpreted within the “conspiracy” framework instead of the more believable commodity flow or academic model. 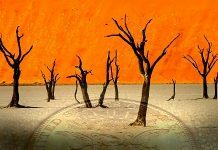 What happens if a customer over the last 10 years purchased 30 Krugerrands and decides to sell his dealer 10 coins in January, 10 coins in February, and 10 coins in March? Is this a reportable transaction? 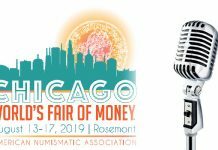 Most dealers would say no because they interpret the rule as meaning 25 Krugerrands or more at any one time but is this interpretation correct? Because there is no ultimate government authority willing to offer a straight up or down answer the water remains murky. And before you claim I’m making a mountain out of a mole hill these details would be important if you are trying to reply to a tax question. 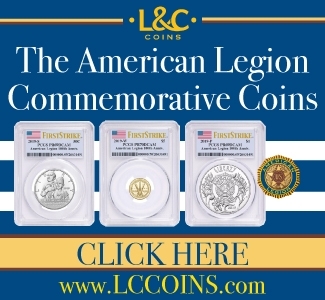 But let’s not lose faith because there is an extensive list of low premium gold bullion coins you can sell at any time and in any quantity and the buying dealer is not required to report the sale: These stellar choices include the U.S. Gold Eagle, the Australian Kangaroo, the Austrian Philharmonic, the Chinese Panda, the British Britannia Series, and the Australian Lunar Series. If any dealer claims these gold bullion coins are reportable when you sell make sure you have your hand on your wallet. 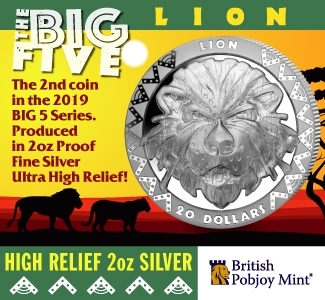 There is also no reporting on any small gold bullion coins or the popular fractional gold bullion coins which are available in 1/10, 1/4, and 1/2 ounce sizes. If you find by now that your head is spinning do not be alarmed and just read slower. Third: Dealers are required to report $1000 face 90% silver bags and 1000 ounce silver bar transactions only when you are selling. 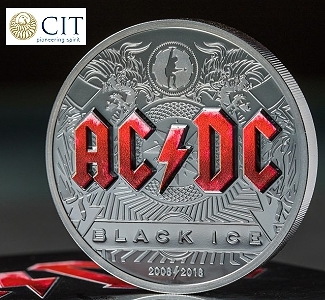 We are not asked to report your sale of 40% bags or less than $1000 face in 90% silver coin but let me play the devil’s advocate: What happens if a customer purchases a $1000 face bag and decides to sell back $500 face in January and $500 face in February. Has he skirted the letter of the law? And even if he has not is there some kind of dealer obligation? Again I’m not trying to be difficult but only to point out that these seemingly mundane laws may create trouble. 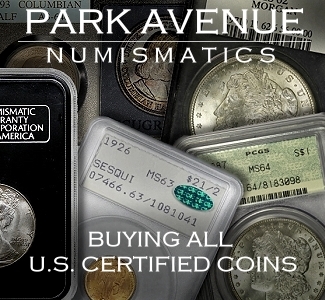 The 1 ounce and 10 ounce silver bars are exempt when you sell as long as the sale does not exceed 1000 ounces. Fourth: When you sell platinum or palladium bars in quantities of 25 ounces or more the transaction is reportable. 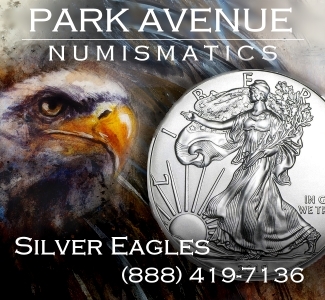 Platinum bullion coins like the Canadian Maple Leaf, the U.S. platinum Eagle, or the Australian Koala are exempt. Finally, palladium bullion coins like the Canadian Palladium Maple Leaf and the Russian Ballerina are exempt. 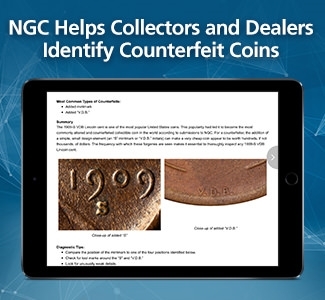 For coin dealers the required government paperwork is not complicated if you understand the rules. But extra work is required and preparation will save you a great deal of aggravation. In helping move this conversation forward it is important that dealers are also members of ICTA (www.ictaonline.org). Both Eloise Ullman (Email: eloise.ullman@ictaonline.org) and Diane Piret (Email: dapiret@ictaonline.org) have years of experience and provide professional answers to your questions. So the pittance for dealer membership is well worth the money and ICTA Email updates offer important state and federal information on a regular basis. 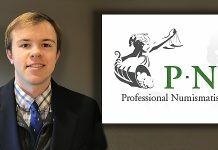 I also recommend dealers contact Raymond “Ray” Gregson, Jr. (AML/BSA Expert and Specialist – aml-nacs.com). 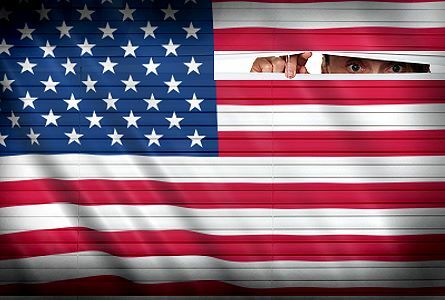 Ray was the first to present this information in a class format and is wonderful at explaining why you and your employees need to understand The Patriot Act before Uncle Sam comes knocking. His fees are also cheap in my opinion and many dealers already use his services. His office number is (504) 737-1375 and his business cell is (504) 782-5092. Before I move on let me say this commentary is not gospel because I labor under the same burden that you do in trying to discern what our hard working government wants in the way of paperwork. So I would not use this information to make decisions without seeking professional help from your CPA or other tax professional. I had to put that in because without it the lawyers get nervous. This commentary should be considered a beginning and readers with additional information or comments are encouraged to contact me (RSchwary@aol.com). Thanks for reading and remember to keep your head down as I was fond of saying in the military. So, hypothetically speaking, if one wants to buy $50,000.00 worth of one ounce Gold Eagles, using cash in-person with no paper trail, then what should he do? Ask if a dealer keeps logs before doing business? And, if the dealer says “no,” and insists he’s OK with multiple transactions over time, should he be trusted that he isn’t keeping a log anyway? Or, should the buyer find six dealers for each in-person transaction (which is really inconvenient)?